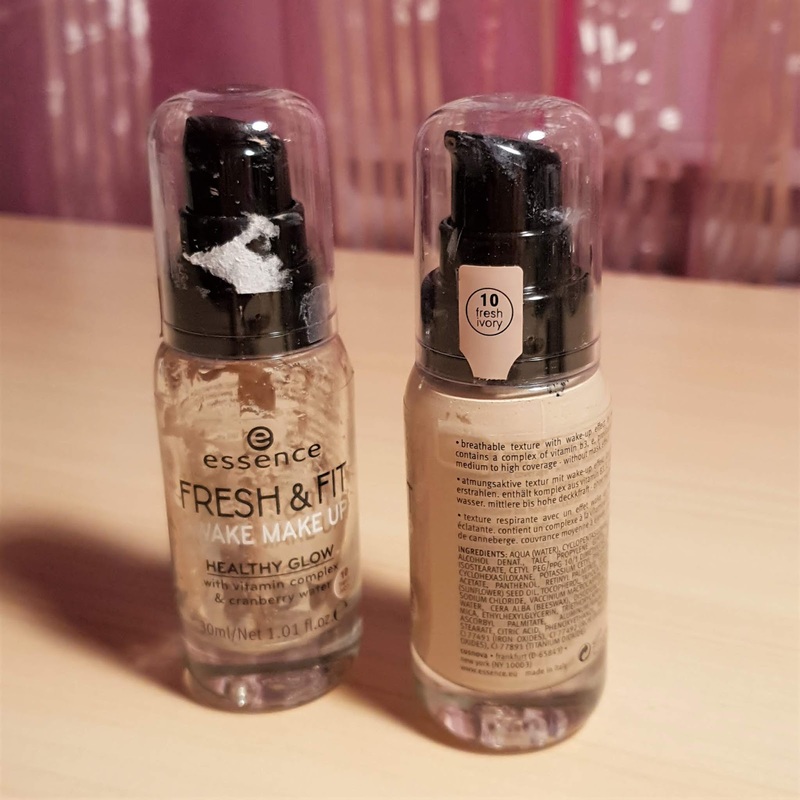 This foundation cost me around 6€ in our dm markt drugstores and was available in 4 shades and I got the lightest one called 10 fresh ivory. 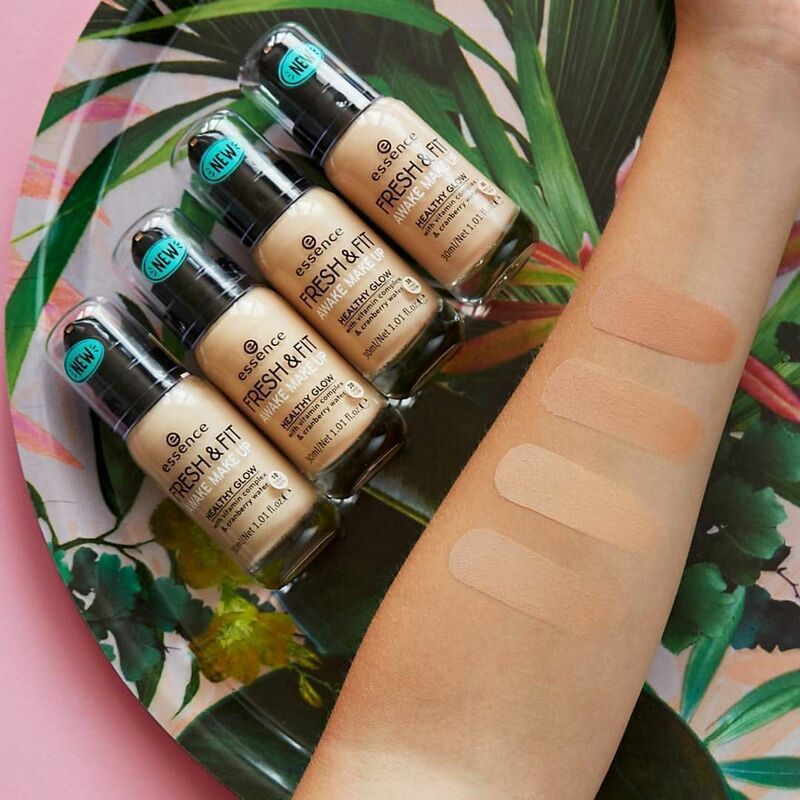 As you may or may not know I am very pale and because of that was so happy to find that the lightest shade of this foundation rage matches my skin almost perfectly. 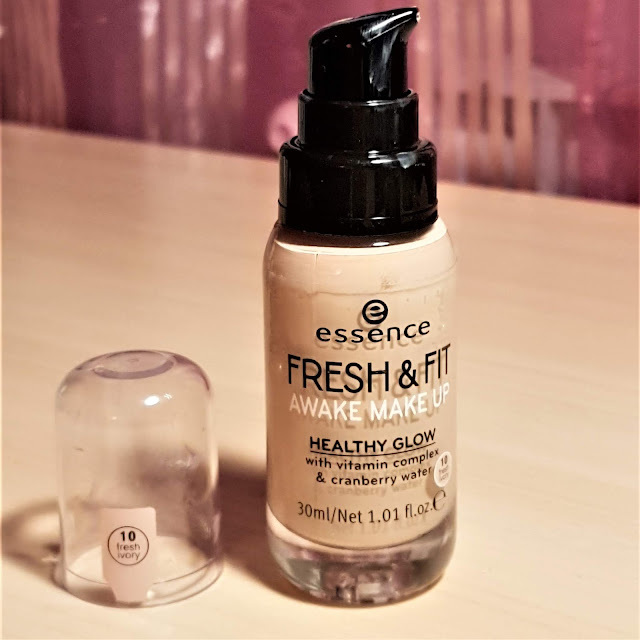 It is a shame that as many other foundations that Essence and Catrice put out, this one too has such a limited amount of shades (only 4!) and this is something that both brands must seriously work on. What I'm trying to say is that most of my fellow makeup lovers and consumers won't be able to find their shade which is such a shame. 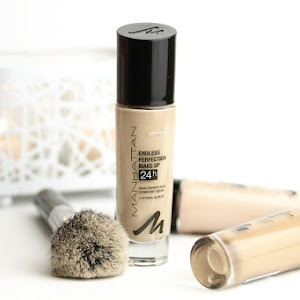 The foundation has a medium, buildable coverage that covers my hormonal acne quite well on an everyday basis. I find the finish to be very different depending on the primer you use underneath the foundation itself. Sometimes the finish can be more dewy and sometimes more matte. I literally never set this foundation because I feel like it looks as if you're wearing a mask if you set it with powder. 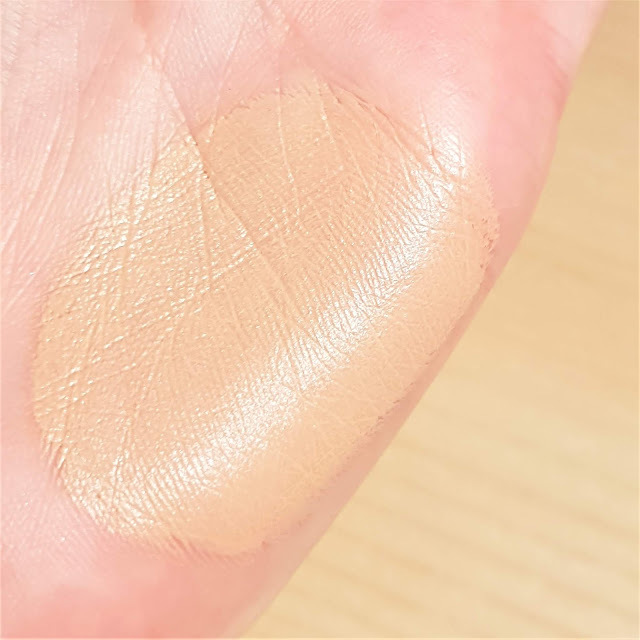 The only drawback to this foundation (besides the lack of foundation shades) is the fact that it contains some sparkly bits in it's formula which tend to show up when the sun hits my face. I honestly don't mind them anymore because I'm kind of used to them by now, but to all of you who might be trying it out for the first time you may find this a tad weird. The packaging is made of glass and looks very luxurious to the eye and very heavy to the touch. This is one of the first Essence foundations, maybe even the first to come in a glass packaging like this. 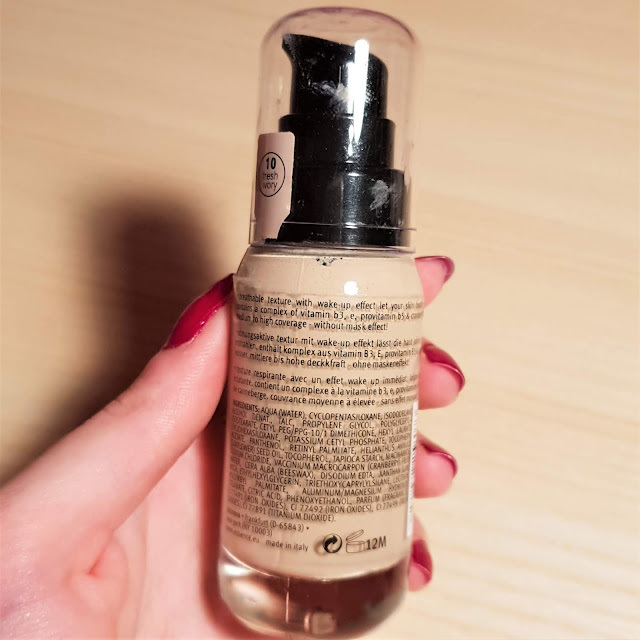 When you open the cap you'll find that it also contains a pump, which is such a great addition and makes it so much easier to distribute the foundation. The formula has a bit of a scent to it that smells very fresh and nice and is not the kind of smell that I am familiar with or can really describe to you. The texture is quite thick and creamy, but not difficult to blend out at all. 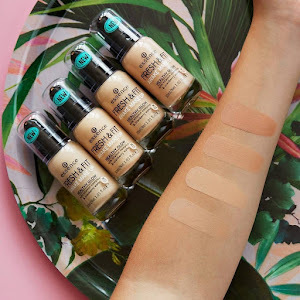 I feel like this foundation might work on everyones skin type and on my combo skin it performs really really well, even without any setting powder as I mentioned before. 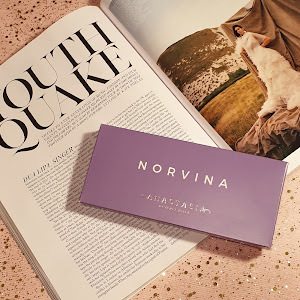 When applying this on my face in the morning (when I say morning I mean that I actually use this foundation each and every day and thank God it looks amazing and doesn't break me out at all! ) 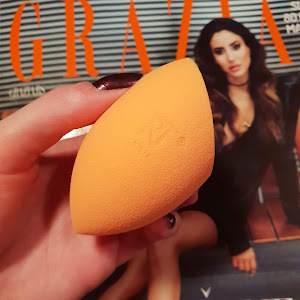 I prefer using a RT Miracle Complexion sponge because it distribute the product everywhere evenly and helps it look like skin and look very fresh, very natural and makes it last longer throughout my working day. 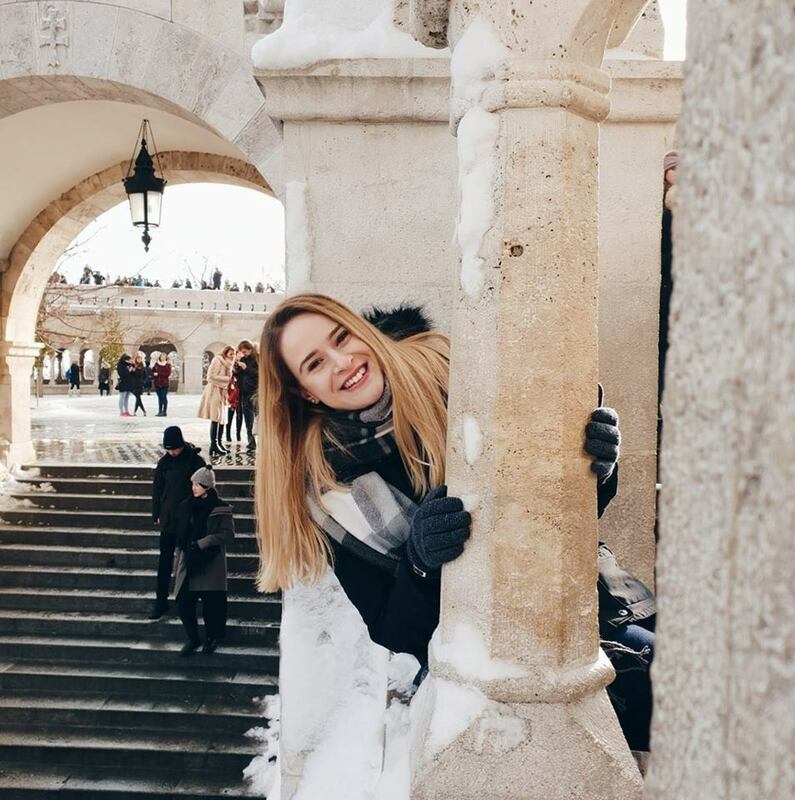 That is all for today's BlogMas blog post my loves!